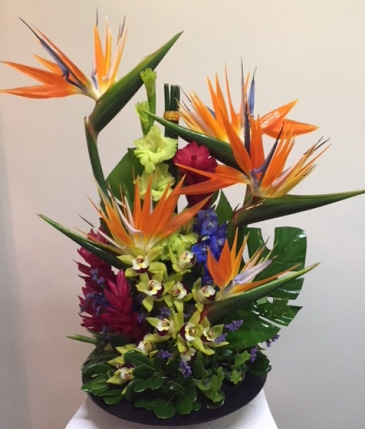 A beautiful tropical arrangement for any occasion. Adorned with birds of paradise, glads, cymbidium orchids, ginger, and various flowers. Sure to please.